When people hear the terms ‘wildlife sanctuary’ or ‘wildlife refuge’ they think of large areas of untouched nature, cordoned off and supervised by various federal and state agencies. Although it may be the case that the largest wildlife sanctuaries are arranged in such a manner, the government has a poor track record at everything they do or attempt to do, so relegating responsibility to take care of our environment should not be the default by which we organize our societies. Even if you have a medium-sized backyard, you can still take part in that important responsibility, and if thousands of people engage in it, we could create more wildlife refuge landmass than even the largest single wildlife sanctuaries funded by the government, i.e. by your tax money. Still, it is critical to maintain large wildlife areas for bigger animals like bears and wolves, lest they become extinct, which has already occurred in the densely populated Europe. What do we even mean by wildlife in today’s sprawling urbanization and vast suburban regions? For the purpose of creating your own wildlife sanctuary by utilizing a large chunk of your property, we mean creating a pocket of refuge for small but still important animals in the eco-system: a variety of birds, bees, bats, butterflies, and other small animals. Natural habitats for a number of species are being encroached daily, for species that are very useful, and every bit of your help would aid them to continue being useful to the growing human population. In turn, they contribute greatly in pollination of crops, and the termination of harmful insects. Birds and bats are particularly proficient at hunting insect pests, thus helping farmers, and alleviating you of nasty mosquitoes. Furthermore, when you embark on creating your own wildlife sanctuary, you are actually raising the value of your property, and implementing other measures to make your life more comfortable. For instance, sheltering the view of your property from your neighbors so you can have more privacy. If you have a garden with a variety of flowers, you are already halfway there in providing a wildlife sanctuary, with just a couple of tweaks needed. Decide if you want to do everything yourself or hire a landscape designer. You are the one who knows yourself the best, so if you have a tendency to give up on projects half-way through, it may be better to hire external help, so you have a clear financial contract to see things through. Make a sketch of your property where you intend the wildlife sanctuary to be. It should be to scale, so use appropriate paper to make it easier. Conversely, you can try out a specialized, comprehensive landscaping software that is easy to learn while still having a multitude of options. SmartDraw would be a fine choice, but you can make proficient sketches even with the Windows’ default applications like Paint. -Placement of permanent structures like garden sheds, birdhouses, bird feeders, bat houses, pools, ponds, pathways. In short, mark all the placement for anything you don’t intend to move in the future. -Outline the location of all the existing plants and trees on your land, that you also don’t want to change. -Do you want to shelter your wildlife sanctuary from outside view, especially from your neighbors? Mark it down. 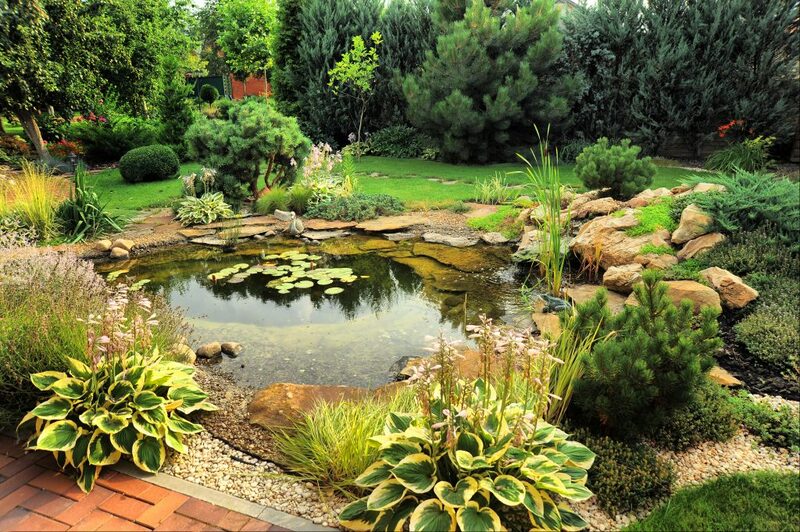 Lastly and most importantly, sketch your ideal placement for new trees, water provisions like birdbaths or ponds, flower areas – either in pots, soil, or flowerbeds, etc. Project your mind to the future and envision the mature state of all the plants, and sketch accordingly to the requirements of that future space they will need when they fully mature. Look up existing large gardens online to inspire you and give you a treasure trove of ideas. Always keep in mind the four tenets of a wildlife sanctuary: food, water, shelter, nesting grounds. The trees that generate edible products like cherries, acorns, apricots, apples, persimmons, etc., already provide food and shelter for a wide range of small animals and birds. And indirectly serve as a congregation for insects, so even birds who predominantly eat insects would be provided with food by trees. Also, take note that some species of birds prefers certain trees over others. Research which birds are present in your geographical area, and which ones of those you want to attract. The same goes for flowers as well; certain species of bees have evolved to extract pollen and nectar from flowers with an easier access, while some bees have elongated tongues suitable for tubular flowers which tend to hold more nectar than others. Before you know it, you will have provided all the four ingredients needed: food, water, shelter, and nesting grounds. Avoid having more than 30% of the surface area as a grassy land. Huge amounts of water and fuel for the lawnmowers is unnecessarily wasted on grass that serves little purpose for the environment. It is in fact a net negative. Always opt for flowerbeds and trees over grass. Try to keep the natural predators like cats out of your sanctuary. Domestic cats are in no danger, on the contrary – they number in dozens of millions, and they extend those high numbers even higher with the number of their bird kills. Likewise, squirrels are thriving as well, and if they hone in your birdfeeders there will be nothing left for the birds. Either decide to place separate feeders for squirrels, or protect your birdfeeders with bafflements. Avoid the use of pesticides and research many organic alternatives to deal with various pests.